DO YOU KNOW YOUR GOOD AWAITS YOU? Are you looking for it in a greedless manner? Do you do your daily good for yourself first then others? Do you have belief in you or higher source to get your good? 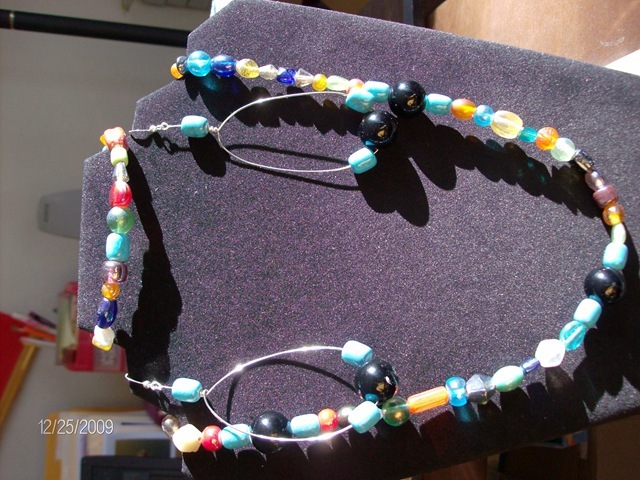 Then head on over to this site and wait for your good to come in the form of hand made jewelry. Now THAT would be loving yourself I’d say. If you think this is something good, wait till you see what my boys and I have put together for the third FREE GIVE AWAY ON JAN 2ND. It would be good of you to sub to this site so you can always see what I will be giving away for the week. 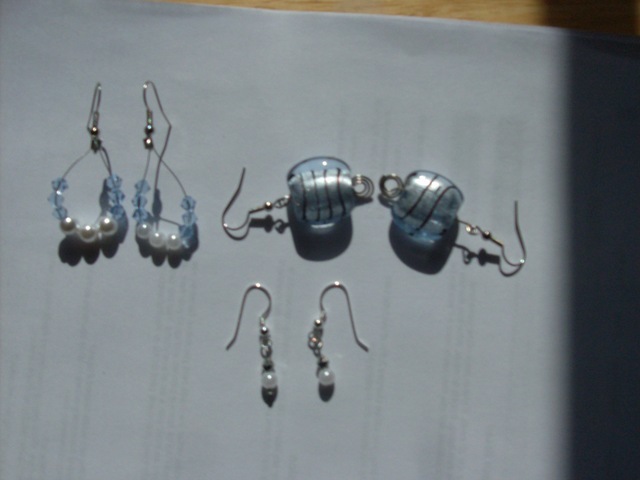 I also give you YOUTBERS DEALS for a tiny price of five bucks(earrings) or 10 bucks(for the set). The first one that emails back will get that item for the week….or day…you must stay glued here so you can see and get your goodies. What are you doing? …go subscribe.!!! Then go and tell a friend to subscribe too. Time for a few thank you’s. for giving my my very first box of goodies to get my business going. for your love and continuous support and encouragement. If I didn’t thank YOU just know I will at some point. I am fortunate enough to have a family that loves me and gives me things to help my business grow. 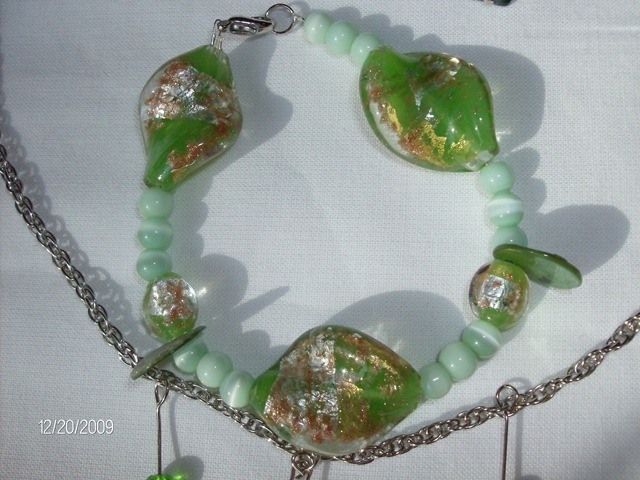 With those donations I create exotic things like my Jade Impressions. Just like life, it took me about two days to really create this idea and begin it. Once finished and placed in my shop I got ladies asking me if they could bid on it. Now the bidding is holding at 80 dollars. (for the full set) Care to bid? I now have three clients that I create for. They each love the chunky bold style of mine and I am so thankful they love it as much as I do. If you would like for me to create something special for you just let me know. If there is something you like now but need it in different color or size, let me know. I’d love to remake something just for you. I am so blessed to be doing things that make me a little money and I love so very much. My goal for next year is to be able to have my businesses pay for all my bill and then some. Doing my readings, healings, books, life coaching and jewelry making all at home will be a truly wonderful thing. Have you made any new goals? What are they? I’d love to know. Help a girl out and pass along this url to all your family friends loved ones, so I can make them smile to if I can. So you all know and are clear, I do not have the funds to purchase all the things you need when you ask me to create something for you. I need you to buy the items then just send them to me. I’ll mail your items back once you have paid your fee through PayPal. I hope you are as blessed as i am to love what you do to help the universe and the planet. If you need help finding that I think I can assist you on that note as well. Just mail me. Have a truly wonderful day all. YOUTUBERDEAL OF THE DAY. First one get is that emails me with their addy. I sat in the massive lobby, phone ringing off the hook since folks are in a hurry to do that last of their year end deals. 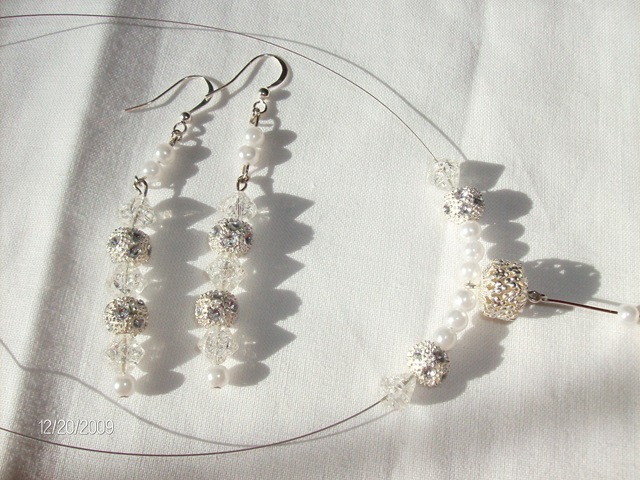 I beaded my new earrings with love and happiness, wondering where their new home would be. “I’d be happy to.” Was all I replied behind my huge smile. “Here is my card.” she handed me a fine thick paper card with lovely designs on it. “May I see something else you have designed?” I showed her my JADE EMPRESSIONS I keep safe in the drawer of an empty desk. I thought she was joking until she sped walked back to stand in front of me. “How much?” was all she spoke. The full set is eighty dollars I tell her. On that note she whipped out the five twenty dollar bills and tossed them in front of me as if that was nothing to her. I love your style. I’ll be back in town in a week. I’ll take another set then, blue would be nice bulky please. I’ll see you then Tasha.” She was gone. I was happy. 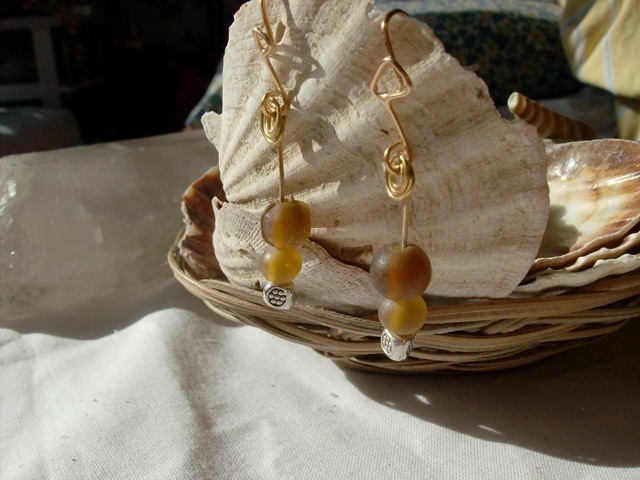 I could get the pre drilled large stones I wanted now. I sat now in the stillness of the phones thinking on my prayer that morning. The same as every morning. God please let everyone buy all that I create. Thank you universe for my blessing. I thought on the gift I’d get for Cody…more candles from Party Lite. Prayers are just like blessings….you get one you give one…give two you get two and so on. What have you asked for lately? Not a test of anything bigger than you … yet merely a movement of faith. I have faith that I will sell all that I create. I KNOW I’ll be giving away lots more jewelry….please sub to this list so you can get your blessings to. 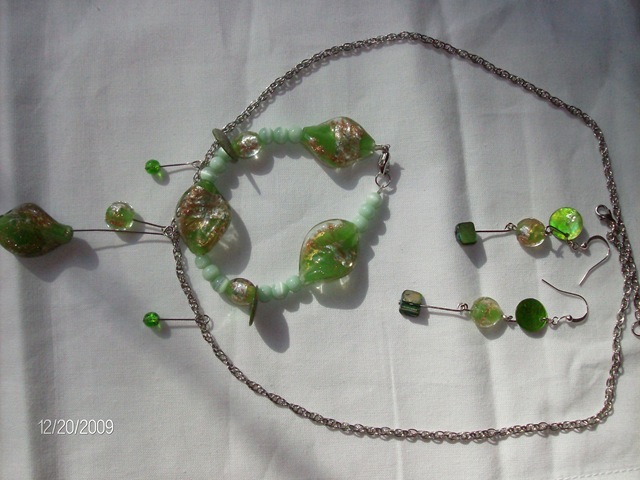 Solid glass green beads, (with dashes of silver and gold inside of the bead itself), metal and four acrylic beads on silver tone wire and chain will make any lady feel as elegant as she truly is. Sunday I will load this to my store and the price will be higher. 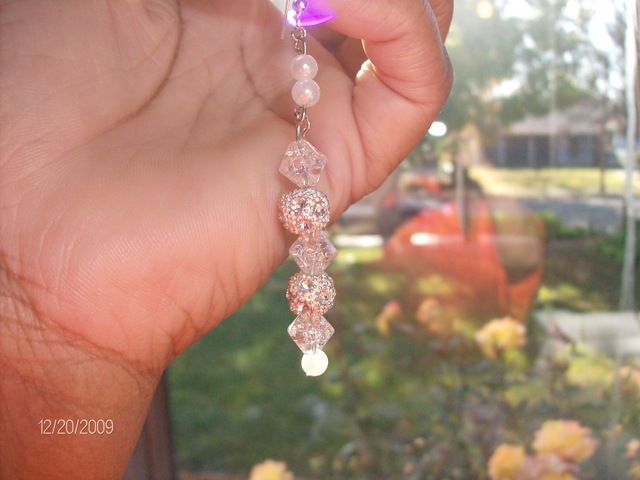 I will now post all my new items here first, then YouTube site – tashaluvsyou lastly to my store. If there is a thing you like but in a different color or size please do not hesitate to ask me. Stop and just be greatful for your ability to breath in and out. Need more help? Write me.